When severe storms hit Maryland – which seems to happen more and more frequently nowadays – there is always the risk that your home will lose power. No power to run your lights. No power to run your sump pump, which could lead to flooding. No power to run your air conditioning or heat, depending on the season. No power to run your refrigerator (bye bye food). No power to…well, you get the idea. Losing power, even for a short amount of time, can be incredibly difficult to deal with. That is why you invested in a backup generator. Click Here to learn about the benefits of backup generators. These generators automatically kick in when your power goes out, delivering power directly to your home’s electrical system and backing up your entire home or at least the most essential items. 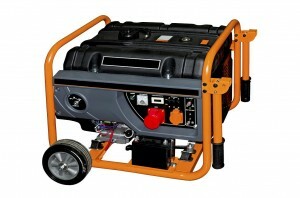 However, what happens when the power goes out and your generator fails to start? Like everything else, your backup generator requires annual maintenance to ensure it is working properly when you need it most. A Generator Maintenance Contract with TriStar Electric helps ensure your generator receives regular maintenance so that it stays in excellent working order. For an annual fee, TriStar will come out and service your generator twice a year, following a strict 22-point checklist, so when the power goes out your generator works efficiently and effectively. A service agreement also helps validate the warranty. TriStar Electric, a Generac elite authorized dealer in Maryland, has installed and maintained thousands of these systems. From our first visit through installation and maintenance, you will receive top-quality customer service from everyone here at TriStar. This entry was posted on Thursday, August 28th, 2014 at 6:11 pm. Both comments and pings are currently closed.